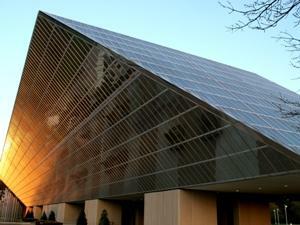 BCBSNC's Chapel Hill headquarters, a rhomboid-shaped glass building built in 1973. "In 1973 when we opened the doors of the Chapel Hill glass, rhomboid structure it was state of the art…and there's a lot of history here,” Borman says. “So we know the importance of this building to the community and we're going to work closely with town leaders and keep them informed as we discuss the future of this property." Borman says he expects most of the 900 Chapel Hill employees to make the move to Durham. Chapel Hill officials say they made every effort to keep the company in the town.